Nashville - Legendary bassist Jeff Berlin will be releasing on May 11th a 30th Anniversary Edition 12-inch vinyl of his signature song "Joe Frazier." The EP "Joe Frazier - Round 3" will include a newly remastered version of the original song from his critically acclaimed 1987 album "Pump It!" and a completely re-imagined version, composed and performed by Jeff, Steve Vai (lead guitar), David Sancious (keys), Keith Carlock (drums) and Tom Hemby (rhythm guitar). This limited-edition EP will be available as signed audiophile vinyl, signed CD, or digital release, with collector's editions including an autographed chart of the new arrangement. Digital "mix minus" tracks of the single will also be offered so you can play along with these iconic musicians. Says Jeff, "'Joe Frazier' is a song that has remained with me throughout my career. No matter where I am in the world, people ask to hear this song. 2017 marks the 30th anniversary of the rendition that I recorded on my second solo record, 'Pump It!' While chatting about the tune with producer John McCracken, we thought to come up with a new version, calling it 'Joe Frazier - Round 3.' For me, this new song is almost entirely different from the previous two renditions and, quite honestly, I think that this is one of the best tunes I ever wrote." 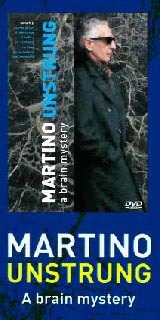 Says Jeff, "Steve Vai's guitar solo was searing. He showed why he is one of the greatest of the great guitarists in the world. David Sancious' keyboards put color and style into JF. The man is a legend and helped to put the 'orchestra' into 'Joe Frazier.' Keith Carlock's drumming is like a train clicking down the tracks. He instantly grabbed the quarter note and never let it go for over seven minutes of musical percolating. Tom Hemby is one of Nashville's top studio guitarists. But on 'Joe Frazier,' he sounded like the guitarist for James Brown and AC/DC." "Joe Frazier - Round 3"
3. A signed and dated print of the full score for "Joe Frazier - Round 3"
All of Jeff's signatures will be original! 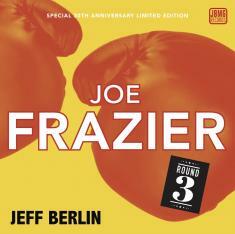 This signed, special-edition CD will include a newly remastered version of "Joe Frazier - Round 2" and the all new "Joe Frazier - Round 3"
1. the newly remastered "Joe Frazier - Round 2"
2. the brand new "Joe Frazier - Round 3"
Each of these "Music Minus" mixes is available for individual purchase ($4.99) and will also include the full digital score along with the alternate mix.